*This product will not sell Bigeast version. *If you purchase any of the 3 above it will come with the fan club limited privilege item! 2010/4/20 (Tue) 16:00~ 2010/7/7 (Wed) until noon. *Please understand that there is limited amount of the privilege object the maximum time on sale is up until 2010/7/7 noon but as soon as the product is out we will end the sale on the site earlier. 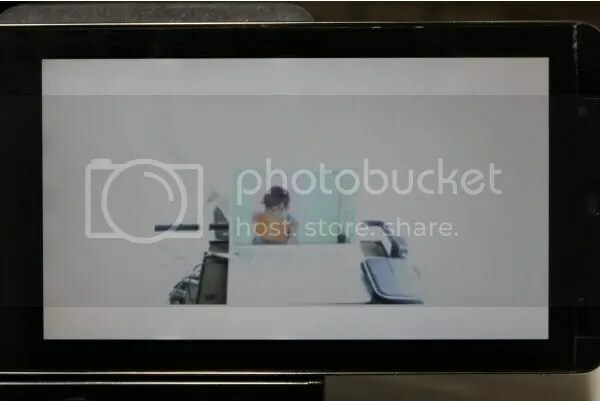 Reserved From 2010/4/20 (Tue) 16:00~ 2010/6/8 (Wed) Noon then it will be sent on the release date. Reserved From 2010/6/9 (Wed)~ 2010/6/29 (Tue) 23:59 it will be sent after the release date. For more details please check the site. * Depending on the time the site may have too much access and may be hard to check. *About the sale item,how to purchase,shipment and other questions can not be answered by the fan club. Please check the shops [Contact]. 54 songs in total planned. Since both of us have to wake up early in the morning, let’s make this our last shot! Let’s drink again! I’ll go whenever you call me! 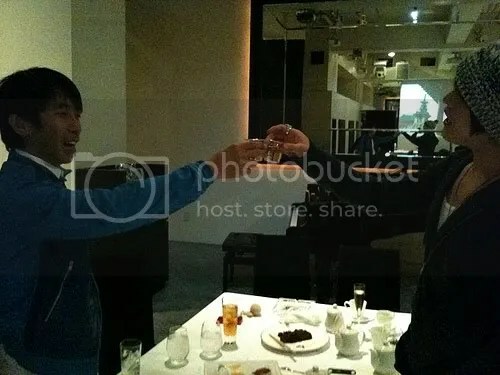 And this is one picture I found on TVXQBaidu. I am not sure where it comes from and who the person in the middle is. Out of all the broadcast these 2. Since Monday at 9pm drama hasn’t started yet. 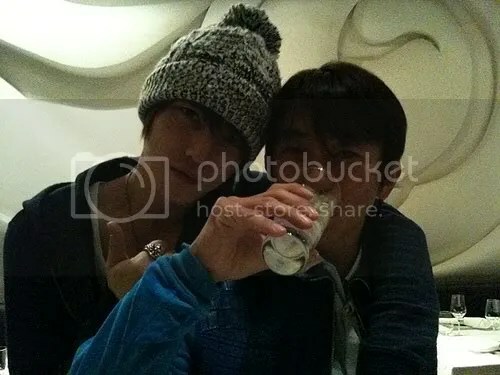 Jaejoong is pure and naive and glad that he is doing well. We’ll be waiting for Junsu coming solo on “Music Fair”! People from my department really don’t let me sleep. I’m very sorry! I will play Gree’s fishing game and go to bed. 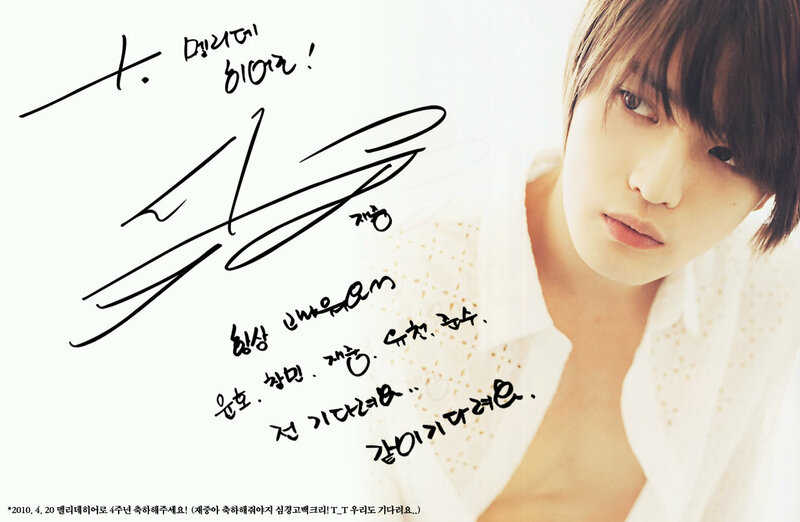 JeJung wants to ask everyone who’s been supporting him about your impression. He asked worriedly, “Did you watch the ‘Aiko no Aitai YOU!’ corner of Mezamashi TV? How was it?” He also talked about how he’s been enjoying acting lately. 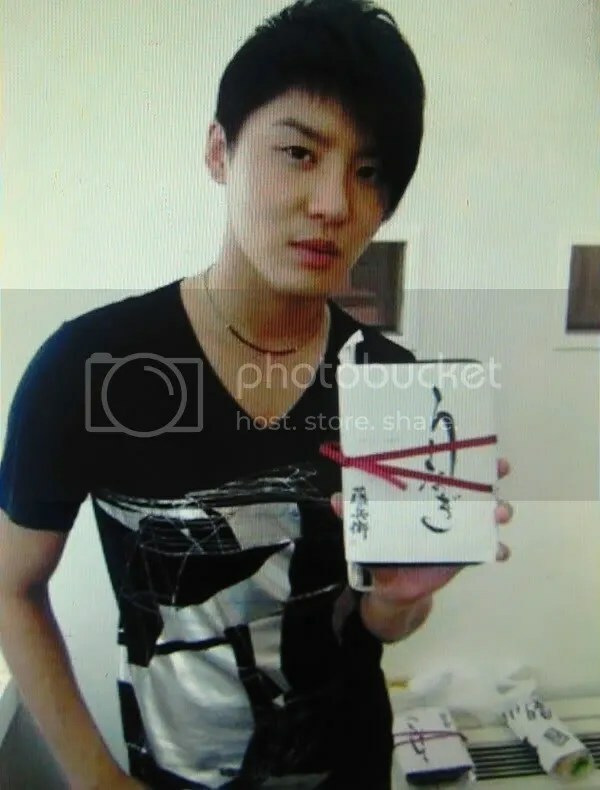 This message is from JunSu’s A&R*. Really goodnight after this! JunSu will release his single as XIAH junsu on 5/26. This time, he is the producer who’s in charge of everything, from composing the songs, designing the costumes, and coming up with the performance. Yesterday he was having interview from morning until night, so he really put a lot of efforts in it. Please definitely give him your attention! I’ll end my talk today with this! ChangMin has been receiving a lot of offers from fashion magazines lately. 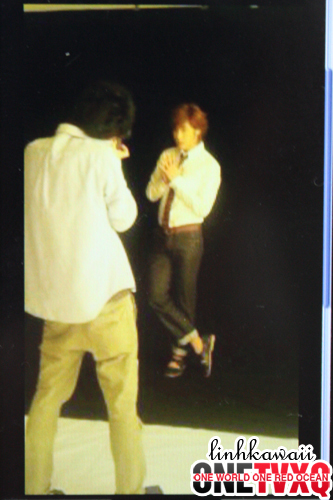 Today he had a photoshoot & interview with “ELLEgirl”. 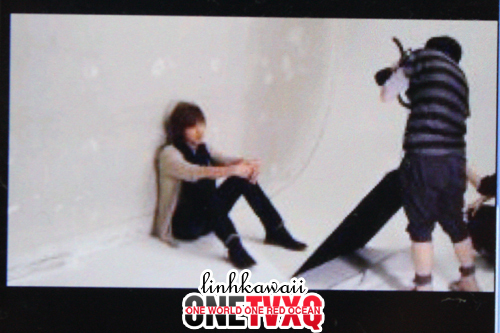 Although ChangMin was being modest like always, he was so impressively good-looking that even the editor was surprised. ChangMin is climbing the stairs of adulthood now. We’re looking forward to you from now on too! Sorry for the wait! This message is from the manager who’s in charge of them. Today we’re in the middle of preparation for the event for DVD purchasers of YunHo’s first drama “No Limit ~Heading to the Ground~”. We’re looking forward to seeing you soon! I’ll talk of something in the past. There was a time when a popular group couldn’t appear on a TV program on Fridays at 8pm**. Our boss was very disappointed in us and he was very angry. We then had to do our very best trying everything we could so they could appear on the program. After they appeared on the program, they told me that they wanted to express their gratitude to our boss, and they talked to him on my cell phone one by one. And that was the story of our boss and the 5 people. 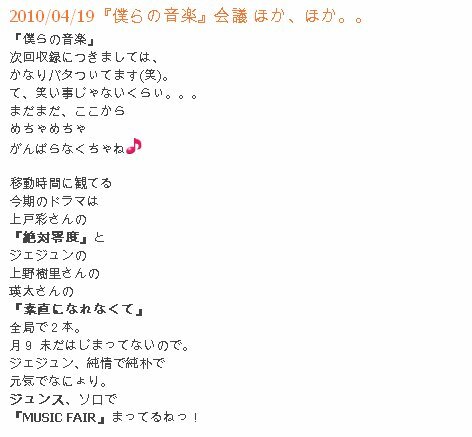 **Seki-san tried not to mention the name of the program he’s talking about, but it’s obvious that it is Music Station, a program that Tohoshinki was “forbidden” to appear on for a long time. 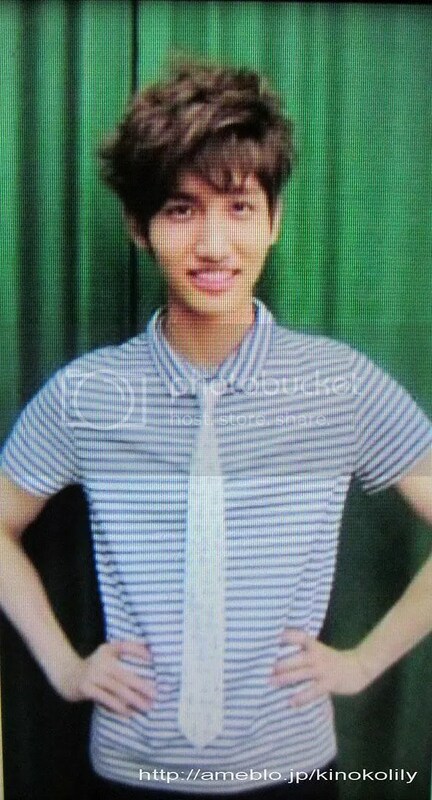 ChangMin was doing a photoshoot for “ELLEgirl”! 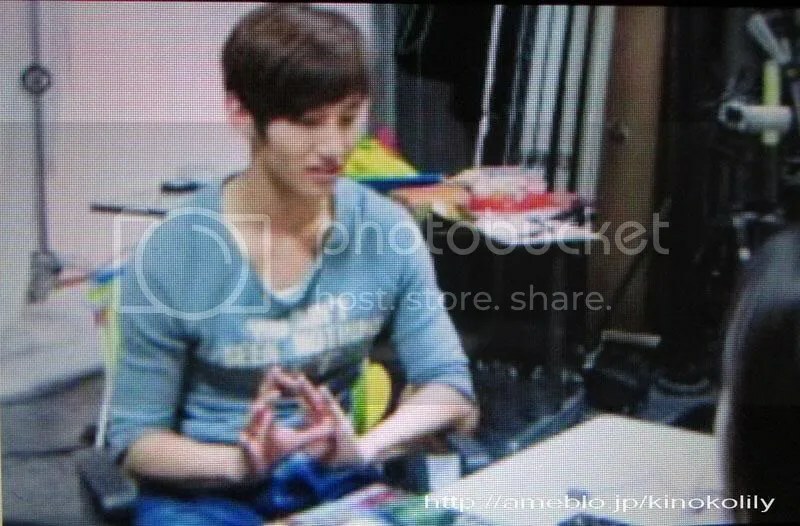 The staff members were praising ChangMin’s innocent and sweet posing. 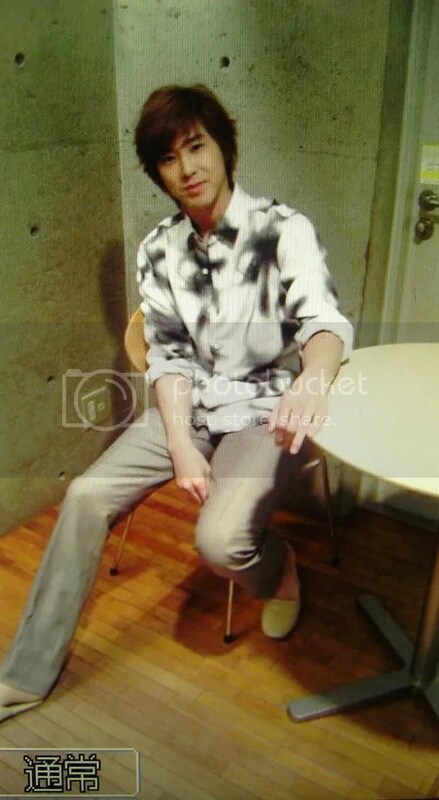 f^_^; ChangMin responded to the staff’s praise by saying, “Thank yo~u!” and continued his photoshoot! ChangMin said that he wants to learn a lot of languages to become an entertainer who is able to sing and act in different countries! “It’s been a while since I had a photoshoot in Japan~! How was I doing~? During his break time, he showed the male staff members his trained body, and everyone was getting excited (LOL). Did you check the corner ‘Aiko ni Aitai YOU!” of CX’s “Mezamashi TV”? He started to do magazine promotion from today! *The text just says “eels”, I’m not sure if it’s hitsumabushi or not. 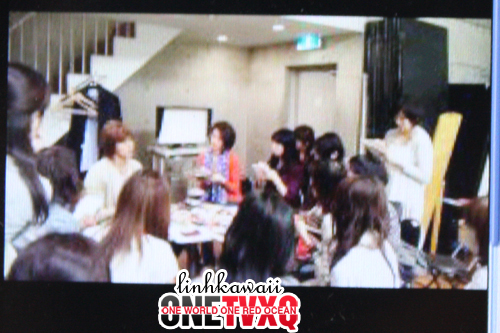 YunHo is doing promotion for “No Limit~ Heading to the Ground”! 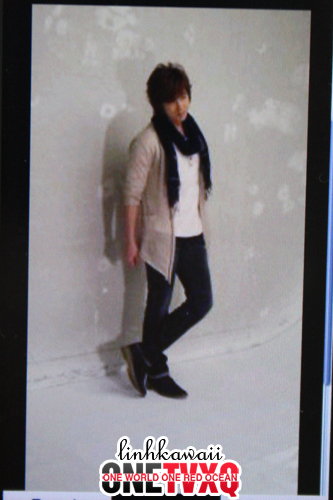 YunHo is going from TV & magazines one by one! 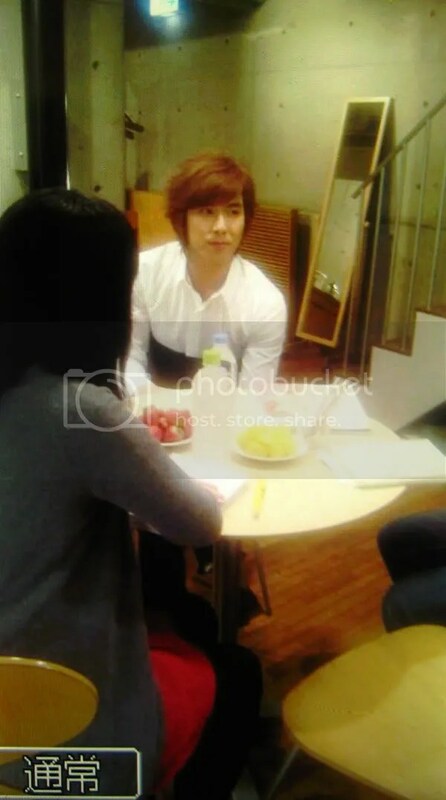 While processing with a good speed, YunHo asked, “Is it done-? Eh, next? Haiii!” and quickly decided on his next pose! He changed from casual costumes to cool ones! During the interview, he talked about his character in the drama, BongGun. 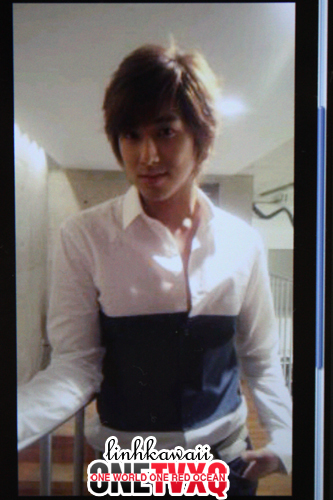 We were thinking of doing an offshoot picture… but YunHo discovered our camera! Interview for magazine “Bijin Yakka”! YunHo describes today as “Kidoaira**” (LOL). He’s making it a trend? Hero Jaejoong of Korean idol group TVXQ has made a successful acting debut in a Japanese TV series which premiered on Fuji TV last week. 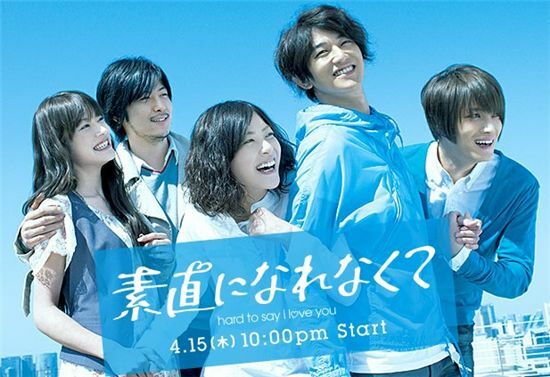 According to statistics released by a local research firm, the first episode of drama “Hard to Say I Love You” scored a 11.9 percent viewership rating, coming in second behind Asahi TV’s popular crime drama “Omiya-san” with 15.4 percent. “You”, which airs every Thursday evening at 10 p.m., is a story of friendship between five young men and women who became acquaintances through Twitter, a popular social networking and micro-blogging service around the world. 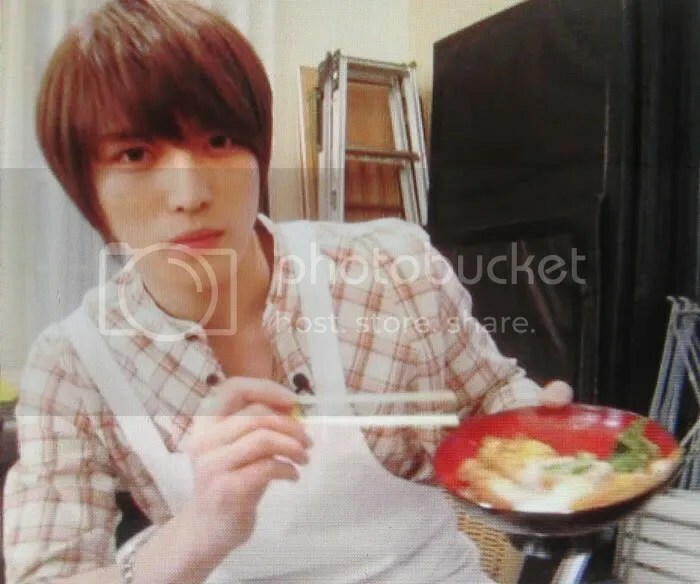 Hero Jaejoong appears as a Korean medical equipment salesman alongside top Japanese actors Eita and Ueno Juri of smash hit TV series “Nodame Cantabile”. 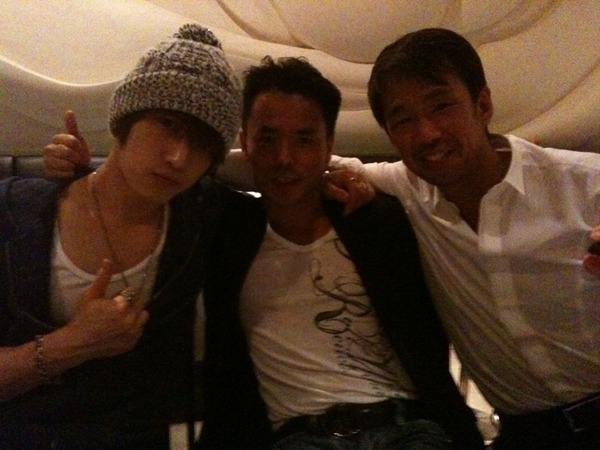 Hero, whose real name is Kim Jaejoong, debuted in 2004 as part of five-member boy band TVXQ. The group became one of the most phenomenal K-pop acts in the country and throughout Asia, selling numerous records and recently making history in the Japanese music scene. TVXQ has been making headlines as of late for announcing that they will no longer be working in Japan as a group and that the members will go their separate ways to pursue individual careers. The band had officially stopped working as a group in Korea since last July due to a legal dispute between three of its members — Xiah Junsu, Hero Jaejoong and Micky Yoochun — and talent agency SM Entertainment over their 13-year exclusive contract. The three members had asked the court to nullify their contract with SM, claiming that their contract period was “too long”, and the court had ruled in favor of them, ordering provisional disposition of the contract. However, the legal battle heated up again when SM filed an objection against the court’s decision and sued the three singers for KRW 2.2 billion won, demanding financial compensation for damages the agency allegedly suffered from the members’ investment in cosmetics business and their cancelled concert in China. Last Thursday, Xiah, Hero and Micky announced through their Japanese management agency AVEX that they had formed a new group through which they will be pursuing their music careers.